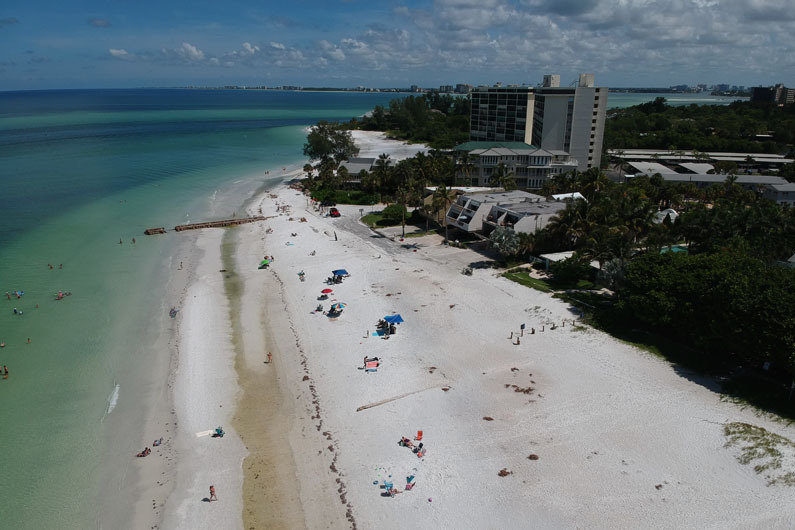 In 1990, a Historical Resources Survey of the Coastal Zone of Sarasota County, Florida recommended that Sarasota Point (Siesta Point), including Mira Mar Beach Subdivision, be further studied to determine eligibility and boundaries for a local historic district. 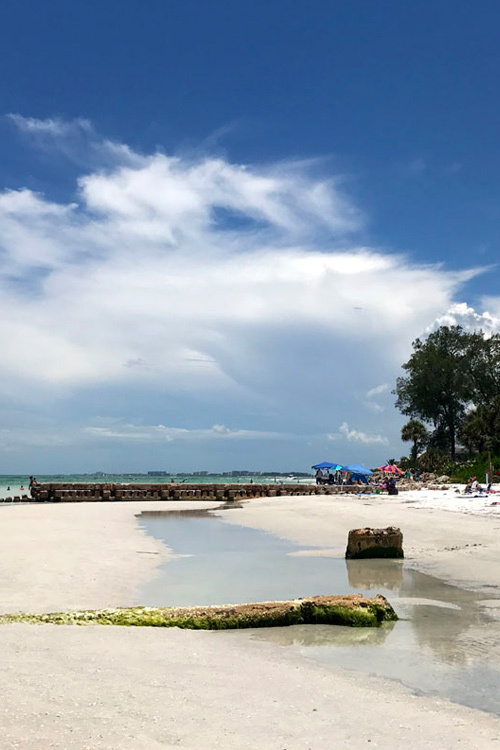 Sarasota Point represents a vernacular landscape on the barrier island of Siesta Key along Florida’s southwest coast. It is rich with local history dating back to the 1800s. 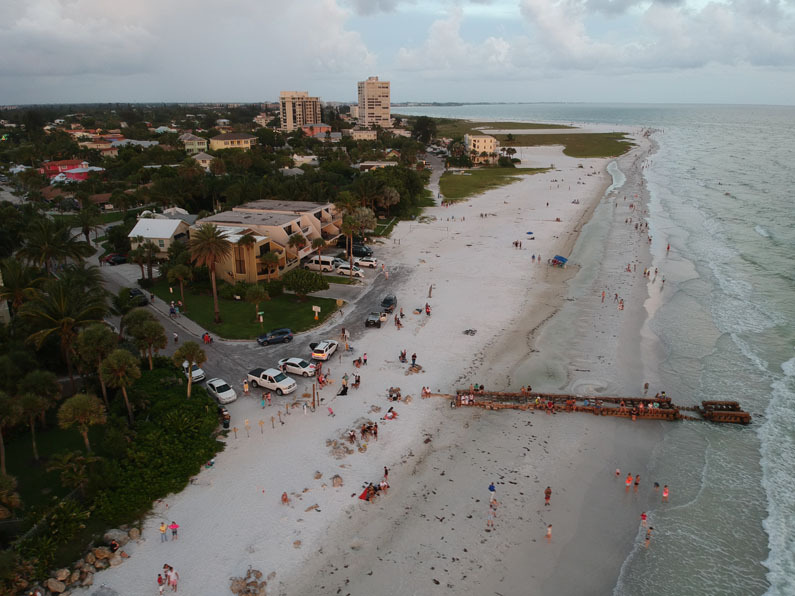 The coastal landscape integrates a complex system of natural and man-made features including a seaward juncture between the Gulf of Mexico and Sarasota Bay called Sarasota Big Pass, and a landward link between a subdivision and sovereign submerged land – each bustling with flora and fauna including several endangered species. The upland subdivision, Mira Mar Beach (1926), embodies concepts of the modern urban planning movement consistent with the early twentieth century. 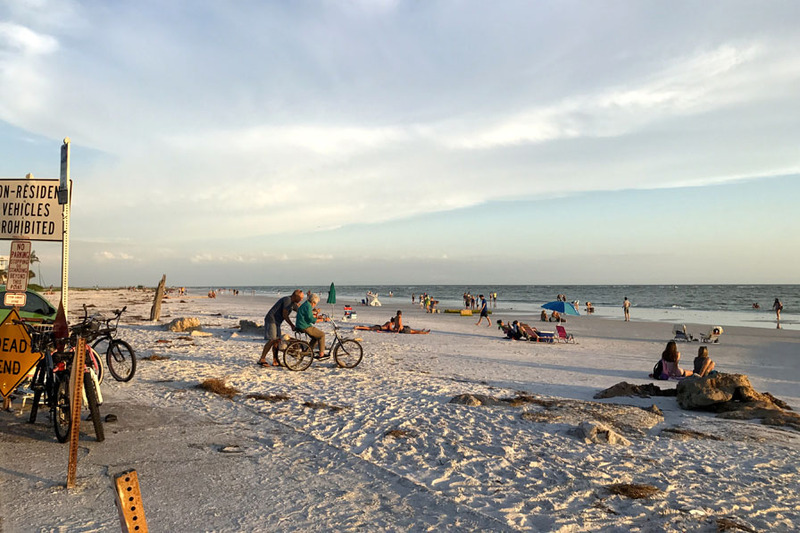 It includes dedicated public rights of way that dissolve into the Gulf of Mexico, which initiated the concept of public beach access, sixty to eighty foot roadways designed to accommodate the automobile with ample space for on-street parking, expansive sidewalks, lush vegetation, and views of the Gulf of Mexico. Detailed deed contracts outlined land use and development standards specific to the area. 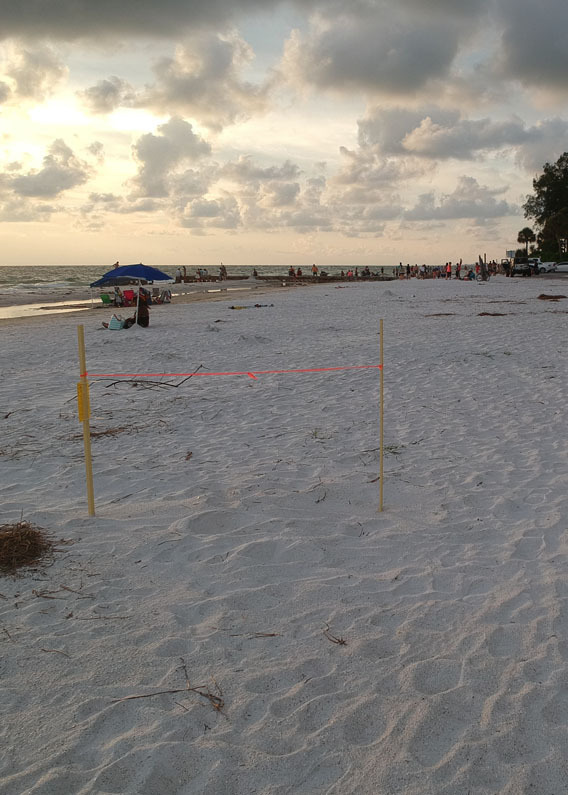 Today, the original three public rights of way within Mira Mar Beach create and connect access 2 and 3 of the Sarasota County parks network. 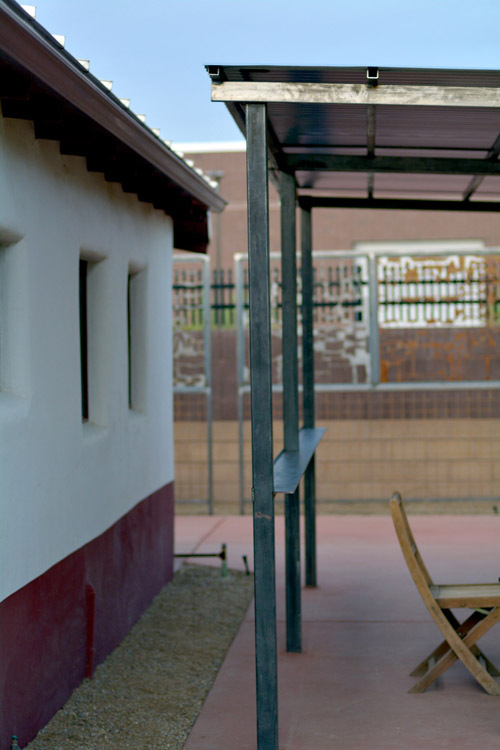 This historic home rests among an eclectic mix of architectural styles along the Santa Cruz River in Tucson, Arizona. 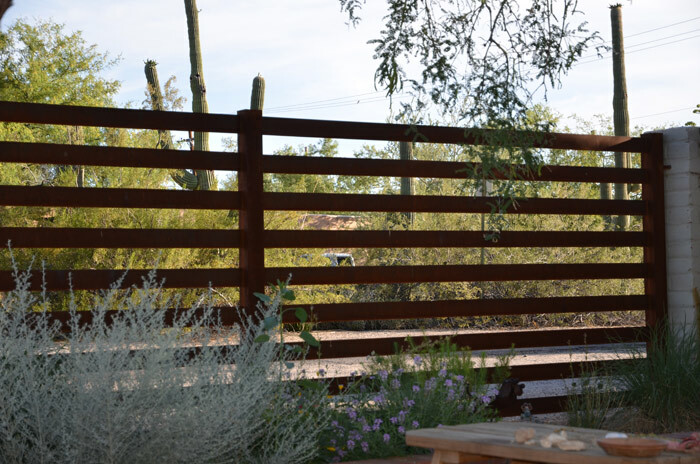 A recent commercial development included an 8-foot high perimeter wall on the adjacent parcel. 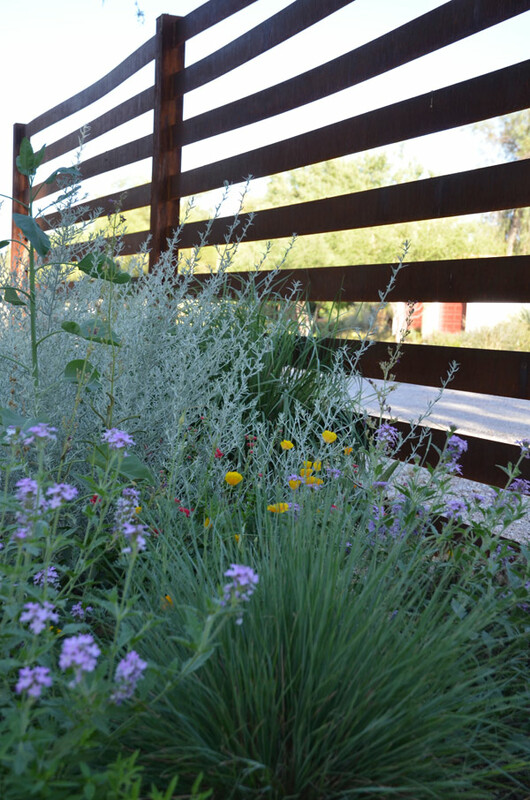 It replaced a native mesquite bosque, which altered the art-filled naturalistic space into something that felt more like jail than a residential backyard. 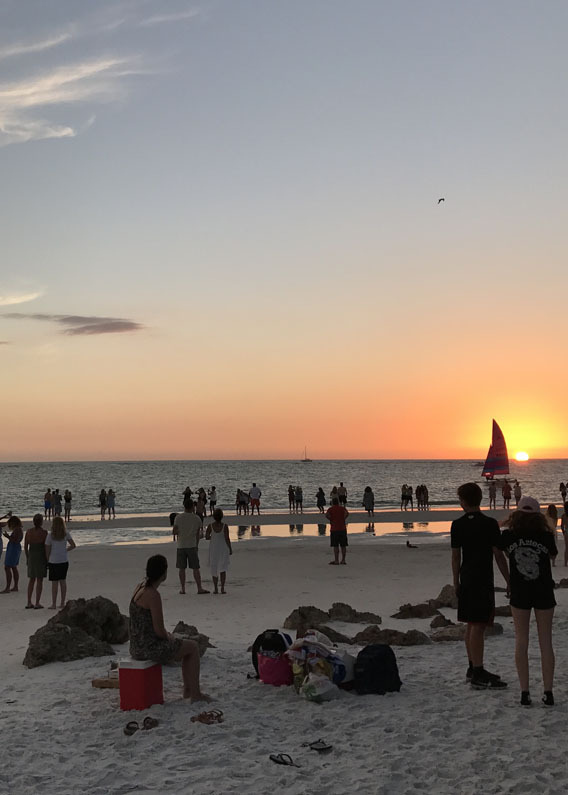 As a result, the backyard was remodeled to mediate the less-than-friendly atmosphere and included an outdoor kitchen area, new ramada, edible gardening space, location for a future guest house, and native vegetation. 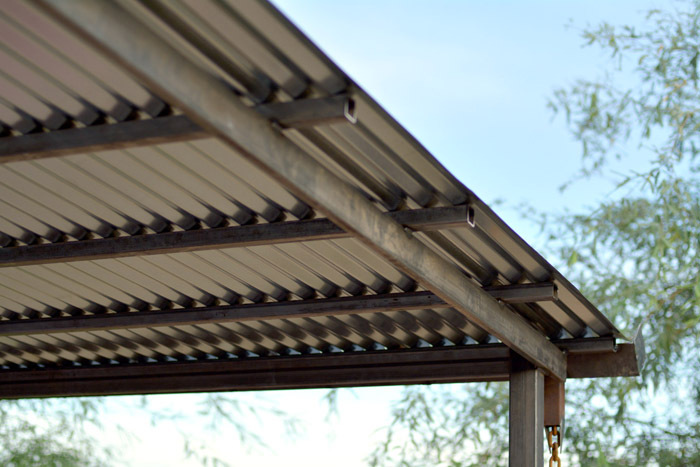 Materials such as steel, concrete, and decomposed granite were used for their tolerance to the harsh desert sun. 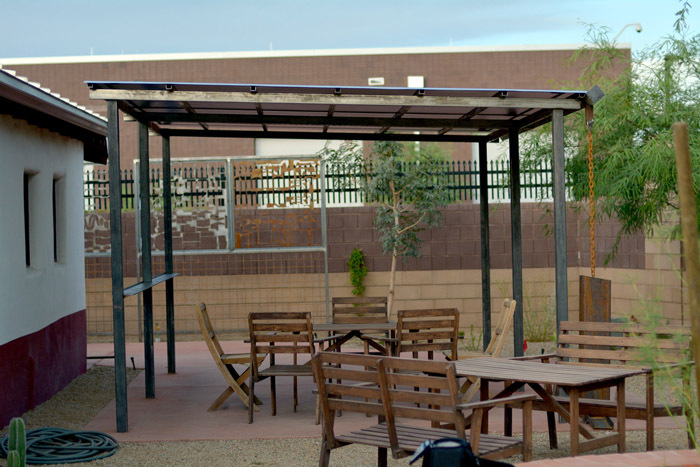 An existing wooden ramada was replaced by a larger ramada made of steel and a corrugated metal roof – complete with a cocktail rail for beverages and a work of contemporary art for roof runoff. 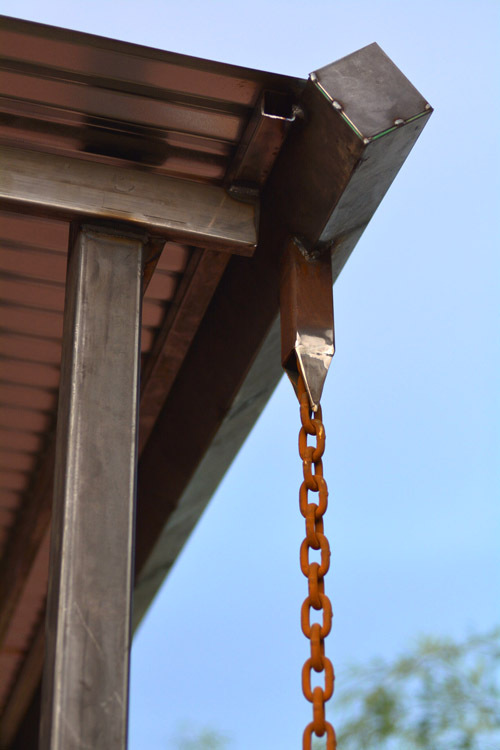 The modern steel rain chain and custom gutter collects water and directs flow to adjacent native plantings. 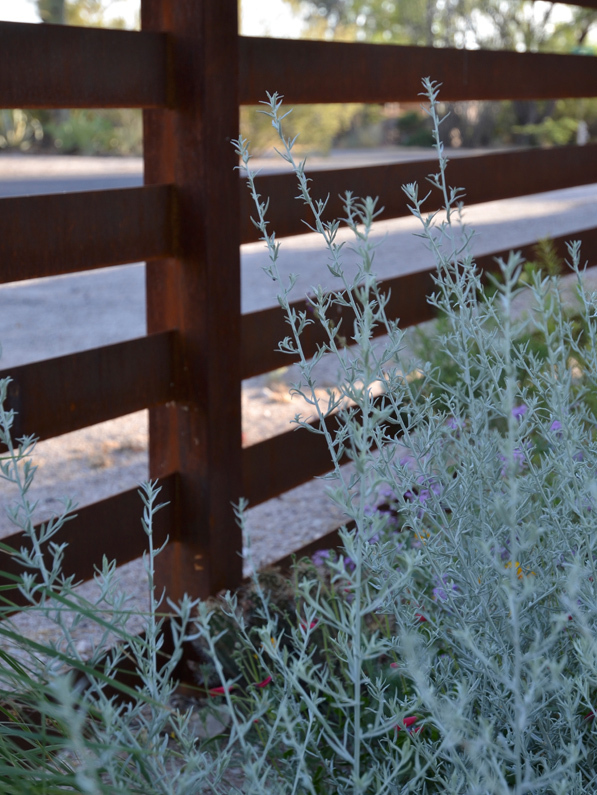 The horizontal steel fence replaced a 30-foot Oleander hedge in front of an historic mid-century Spanish Territorial home. It provides a backdrop to native vegetation, defines the outdoor space, and establishes a street connection. 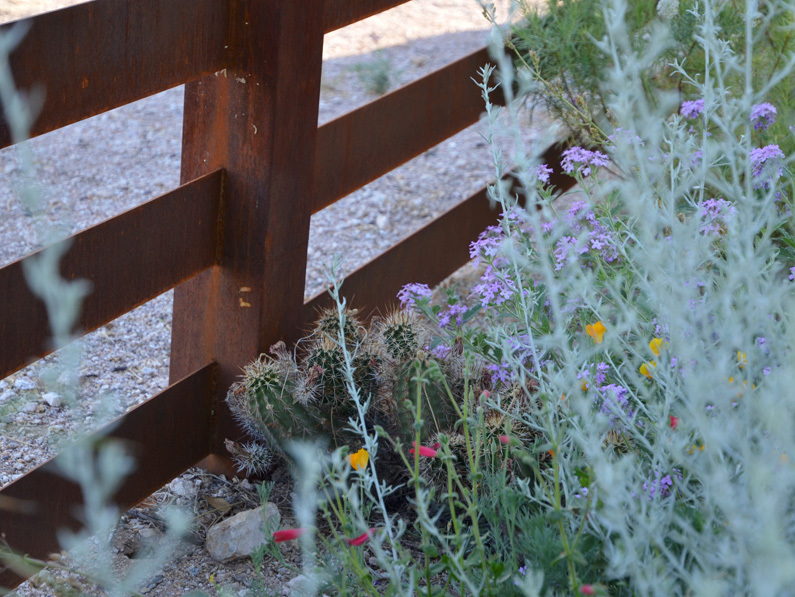 The clients can relax under the native mesquite or harvest veggies from the adjacent organic garden.